With 25 million players in less than a week, Apex Legends is already growing faster than Fortnite. The game can be downloaded for free to your PS4, Xbox One as well as to your PC. Now let's get to know what might be the new gaming world fever. Now that PUBG and Fortnite have set the format battle royal as one of the most sought after and popular since the end of 2018, has arrived a new player. It's called Apex Legends, and in just three days it's got ten million accounts. A week later and this number has already surpassed 25 million. It is a declared rival of PUBG and especially of Fortnite, created by Eletronic Arts (AND THE). Its sudden and incredible popularity has already caused the shares of the company to rise by about 8.5%, according to the report of the Reuters agency. Now, EA wants this free game for PS4, PC and XBox One to even surpass the Fortnite phenomenon. Already Know Apex Legends? Already has over 25 million players! In Apex Legends, 60 players are left on an island (map) and then have to fight against each other. The game combines several elements of the cinematic saga and bibliographic “Hunger Games“With some of the construction mechanics of the Minecraft. The result? 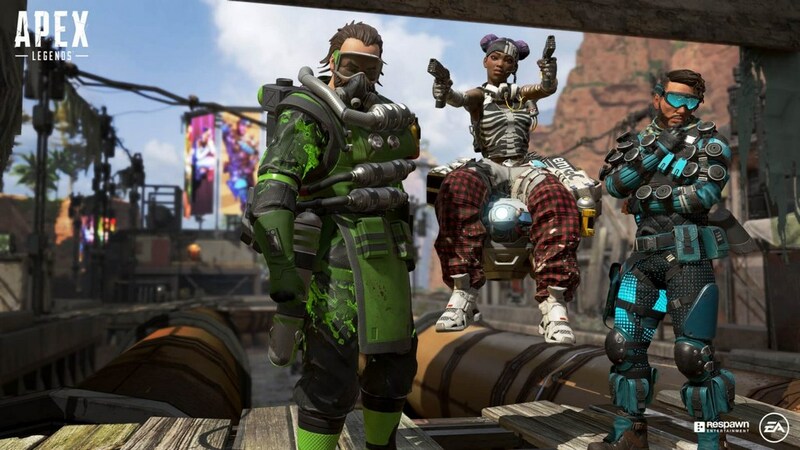 Vince Zampella, CEO of Respawn Entertainment, the studio that developed the Apex Legends, is said to be stunned this week. Since last Monday (4) more than 25 million players have joined the community and during the last weekend we have more than 2 million players to enjoy the game. As reported to Reuters, during last Friday (8/02) this was the most viewed game across the Twitch platform. EA Games seems to have hit on this new rival from PUBG and Fortnite, two titles backed by China's Tencent. Something that has forced other studios to find new solutions. New formats that appeal to teenagers as well as veteran players. We felt a need for reform in several of these well-established studios. Now we see an explosion in its popularity, thanks also to the ability to download it for free to the PS4, PC, as well as for Xbox One. Still, by way of comparison, Fortnite needed two weeks to reach the ten million mark. However, since its launch in 2017, Fortnite already has more than 200 million active players. Between them, both titles already win the preference of the main players and streamers. Thanks to Apex Legends, EA Games, publisher of the game, expects to get more than $ 100 million in revenue during the fiscal year ending March 2020. The company's initial forecasts are being largely overcome with this increase in membership. Still according to the report of the Reuters, prior to the launch of this new title, EA had revised down its forecast for the fiscal year in question. Gameplay with Battlefield V, lower than expected, caused an 18% drop in its shares. Something that would change with the arrival of this new title. With tens of thousands of players online simultaneously, the format battle royal continues to grow. Now with the new title we have an equally promising alternative to Fortnite. However, for those who prefer a more realistic title the PUBG continues to assert itself as a viable alternative. In short, we are effectively facing a new success story. Here to the point of already wondering if this new game surpasses even the phenomenon Fortnite? EA's new bet is proving to be incredibly successful. And have you already downloaded it to your PS4, PC or Xbox One?